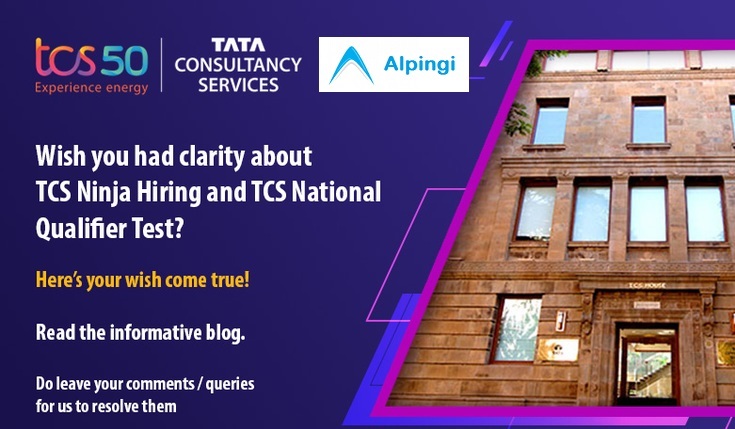 TCS National Qualifier Test 2019 – A lot of things are being said, much buzz is created and so the tension among the aspirants regarding TATA Consultancy services Qualifier Test (Process also names as TCS Ninja Hiring). But you should not worry, here we are going to elaborate all the tiny details of Ninja process and going to give you summarized view of the procedure. 1.1 What is TCS Ninja process? Earlier Tata Consultancy Services (Popularly known as TCS) used to exam for freshers hiring region wise. That means, it used to have different dates for different regions and different questions paper. The whole process was time and resource consuming for IT giant. But after having brainstormed to get the things done in more simpler and quicker way, TCS has come up with TCS Ninja Hiring. And TCS National Qualifier Test is part of TCS Ninja process. Now lets get down and make things even more simpler for you. What is TCS Ninja process? Note: TCS is hiring engineering graduates and post graduates from the batch of 2019 through TCS Ninja Process. Now you must be worried, what is TCS National Qualifier Test then? Under the banner of TCS Ninja Process the written exam which you are going to write is named as TCS National Qualifier Test? Pretty Clear? So in other words, the ‘TCS National Qualifier Test‘ is part of the overall process of this year’s TCS Campus Hiring which has been named as the ‘TCS Ninja drive. So once you fill the application form and fulfilling the eligibility criteria then you are eligible to sit for final batter aka, TCS National Qualifier Test. Criteria for TCS Qualifier test has been fragmented into three segments and they are, Education qualification, age limit and graduation stream. Please make sure that before applying you are eligible for the NQT. B.E/ B.Tech/ M.E/ M.Tech – All Specializations | M.Sc – Computer Science/ Information Technology and other related disciplines | MCA with B.Sc/ BCA/ B.Com/ BA (with Mathematics/ Statistics). 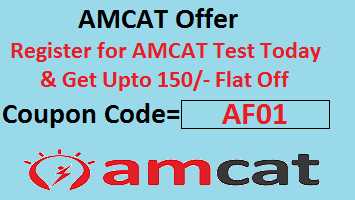 minimum aggregate of 60% throughout in Class X, XII, Diploma (if applicable), UG & PG (if applicable). All academic courses should be finished within the stipulated course duration as per TCS Eligibility Criteria and/or they should be completed within the duration as prescribed by the Board/ University. First of all, you need to create account/ sign up on TCS next step portal. now you need to fill the application form. If you are bothered about eligibility criteria then look no further. Time duration of exam is 90 minute. Myriads of students are waiting for TCS Ninja 2019, so we are elaborating exam pattern here. This segment comprises only 1 question, students can use any of these lang (c/ c++/ Java/ Perl and Python) to code. It is painless section comprises 20 MCQ questions. MCQ will carry negative marking but fill up the blanks (FUB) will not carry any negative marking. There are two sub-sections in this segment namely as “Standard” and “Advanced”. Qualification to next round would depend on both the sections. Important topics are: Speed and Time, Profit and Loss, Probability, Trains, Permutation and Combination. This portion will carry 10 programming questions from C language. This part will carry 10 verbal questions which have to be answered in stipulate time (10 minutes). Students who meet all the eligibility criteria will get their hall tickets to take up the TCS recruitment test. Any questions and confusion over TCS National Qualifier Test’ then please don’t hesitate to comment. Click this link to check TCS Ninja NQT Result. It is online center based test. Is it necessary to attend tnqt test?? yes, to get TCS job as a freshers. It shows REGISTERED in the portal but i haven’t received any information whether I’m eligible to write the test or not. No admit card/hall ticket is provided and only one week is left for the exam. I didnt get admit card till now. I am bit worried.Will I get admit card after this? I have applied for TCS ninja..but I didn’t receive hall ticket yet..
Sir I fill my wrong gmail id in tcs registration form due to this my admit card was not came on my mail. Will the tcs questions be same for all the time slots? Where can I download the hall ticket for TCS national qualifier exam.plz tell me what is the venue and date of exam. Login to next step portal to download admit card. This is Navya from SVSIT.I Registered and applied for tcs ninja on 16th August 2019 .I don’t have any backlog and I have 70%.i am 2019 passing out student from b.tech in computer science. i didn’t get my admit card and i am not receiving any mails from tcs to my registered emailid. i am in a dilemma that ,am i eligible for this exam or not.if i am eligible please send my admit card to my mail as soon as possible. What happens after the NQT ? What happens if i qualify in the NQT? WHen is the technical and HR round about to happen? How many times does the TCS National Qualifier test happen in a single year?